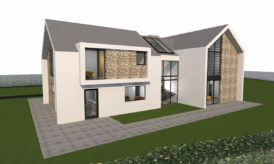 In late 2017 ACA were contacted by a couple who currently lived in Doha and were looking to return home to Scotland. 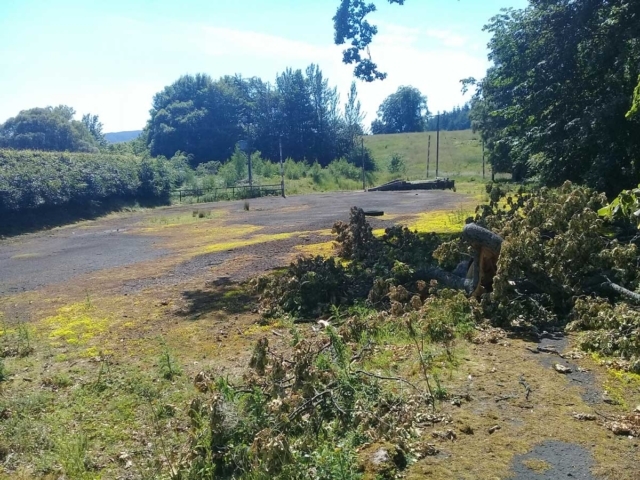 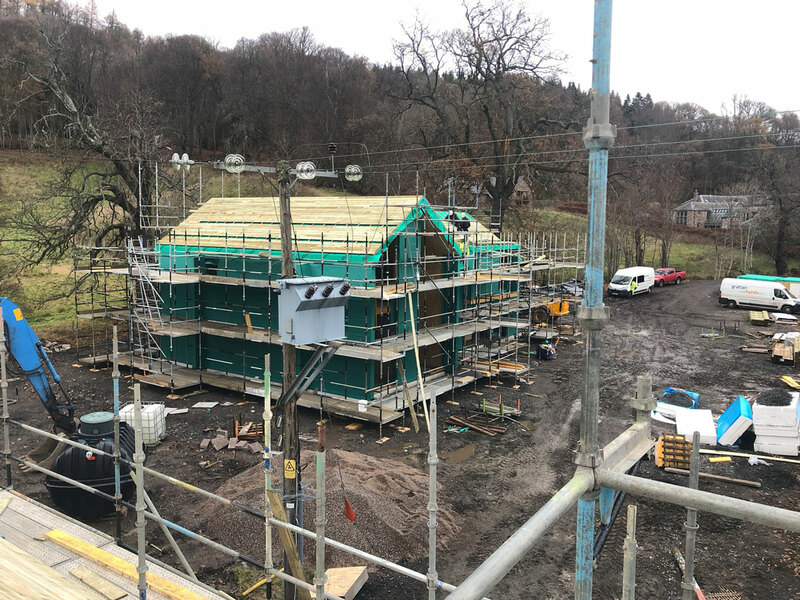 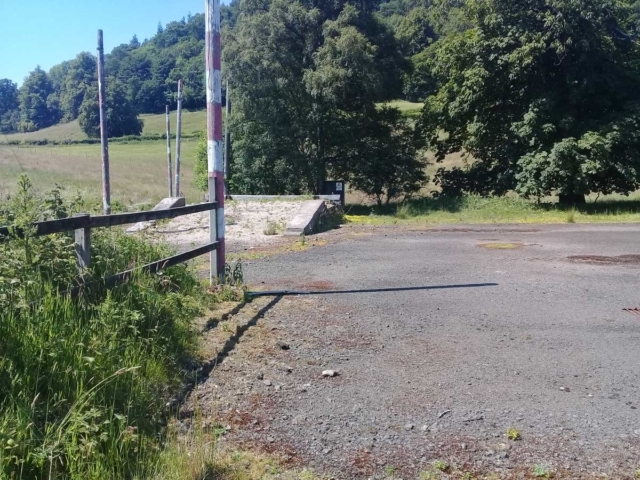 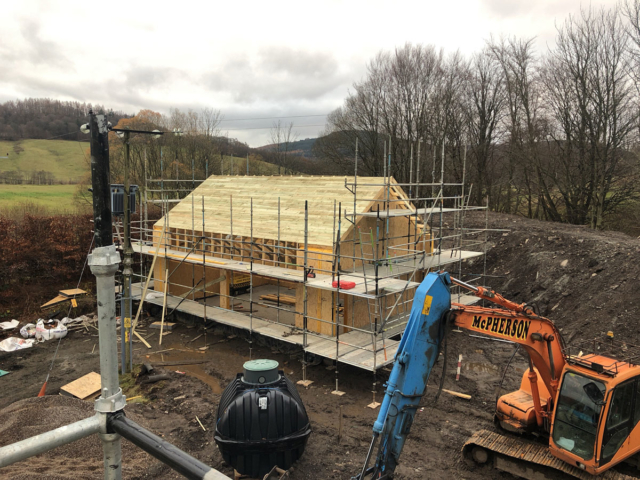 They asked ACA to review a number of suitable sites, which we did free of charge – highlighting a desirable site near Crieff. 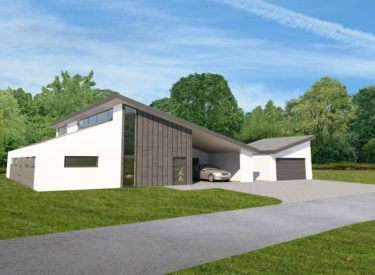 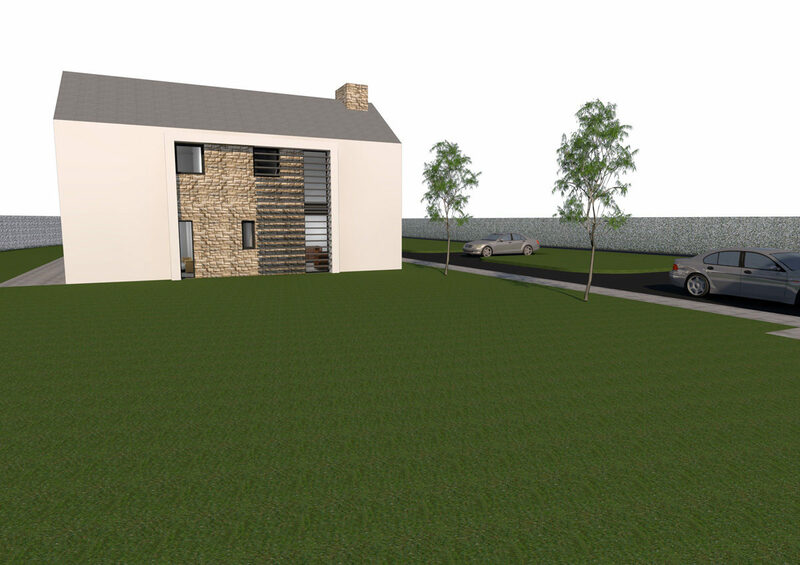 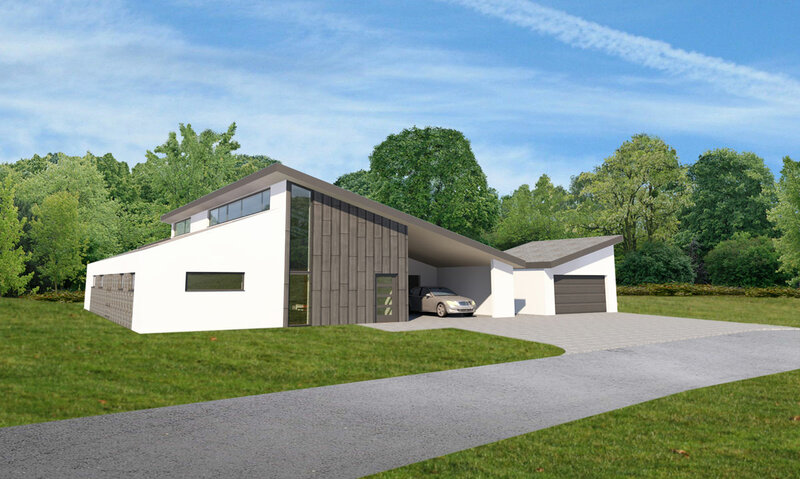 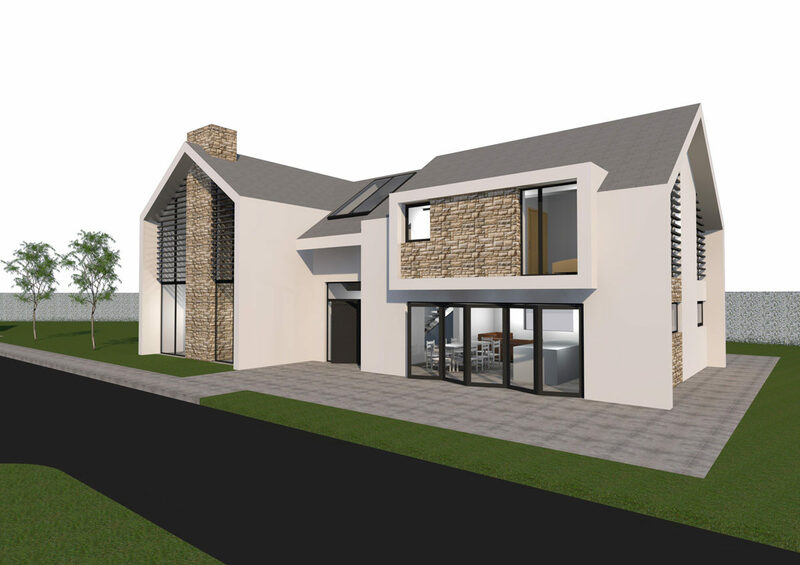 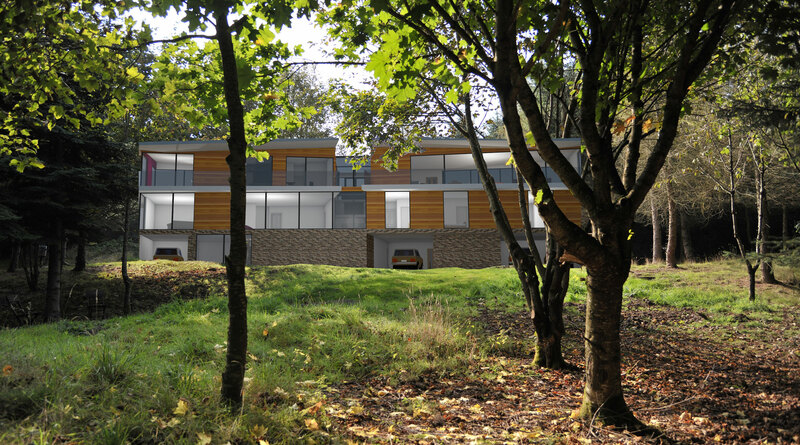 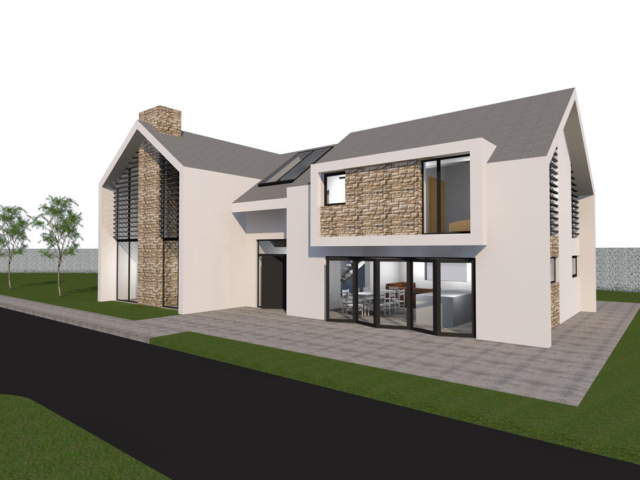 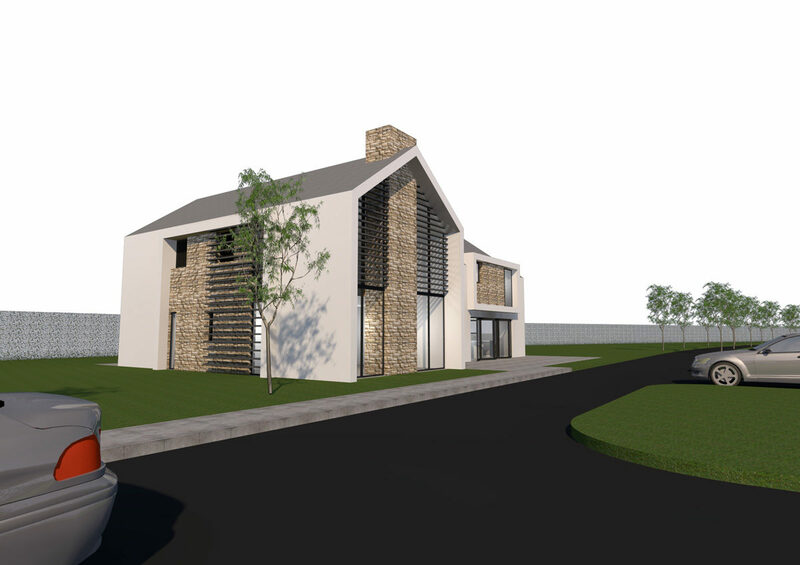 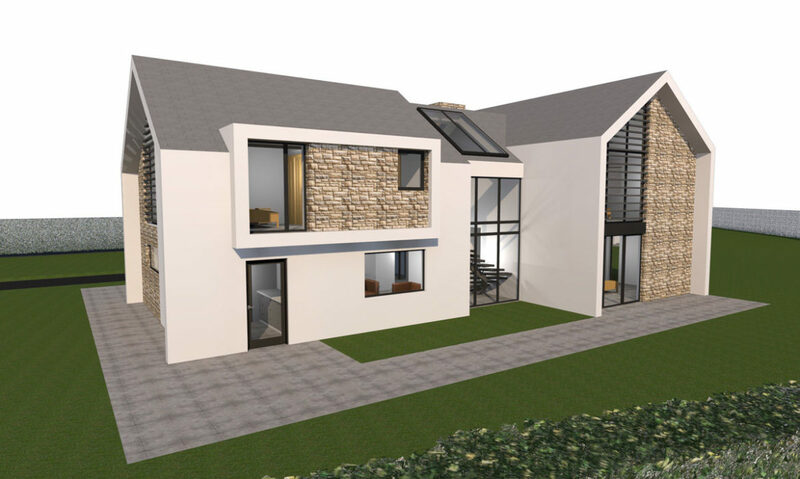 The site currently had outline planning for a large home, which was not to the clients’ requirements. 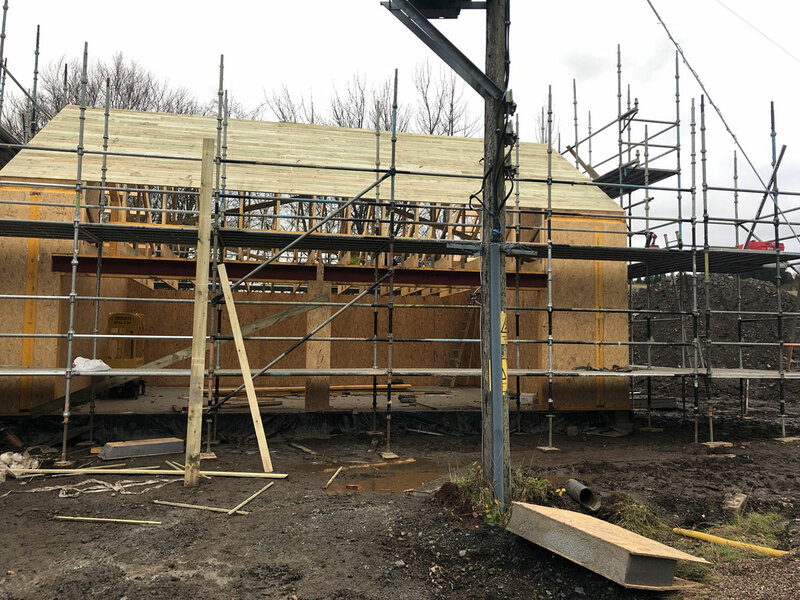 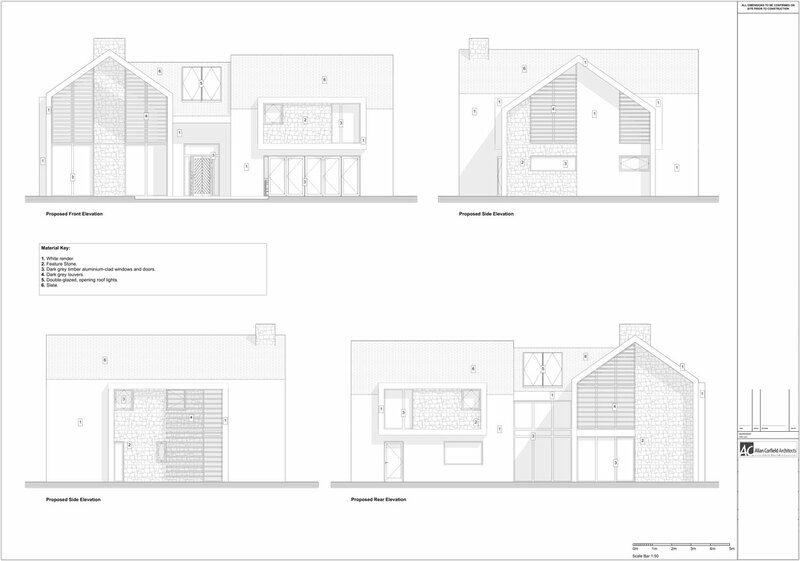 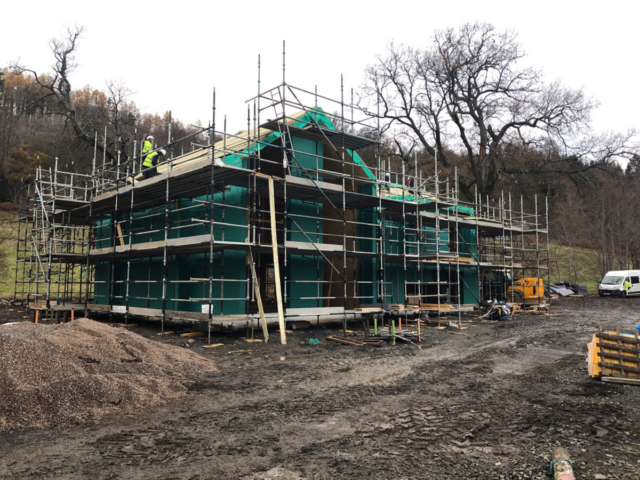 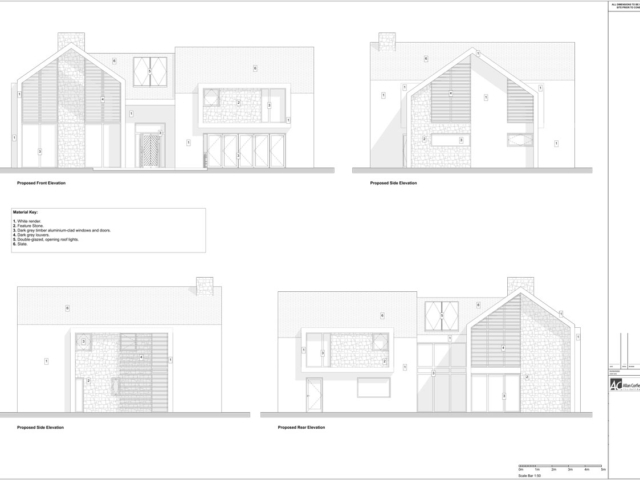 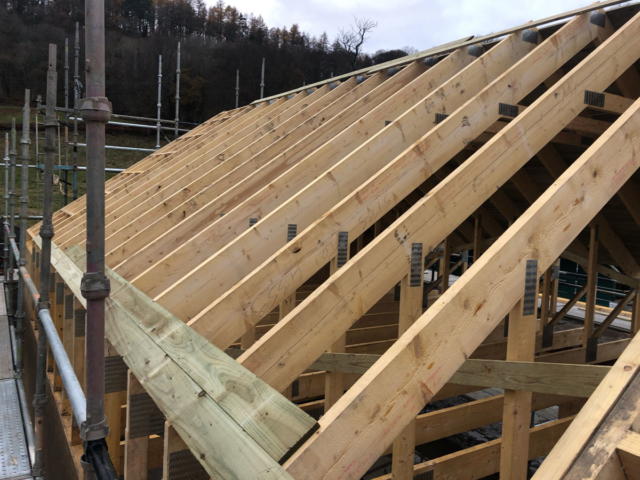 So ACA undertook an initial exercise with the clients and the local planners, this would ascertain whether or not our clients’ plans were suitable for the site. 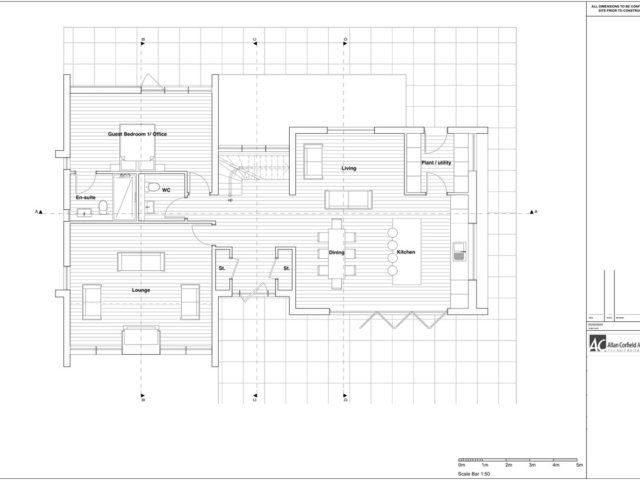 They were, so at the start of 2018, we provided the clients with a number of design options, in our 3D drawing package (Archicad), which they could review and walk around, whilst in Doha. 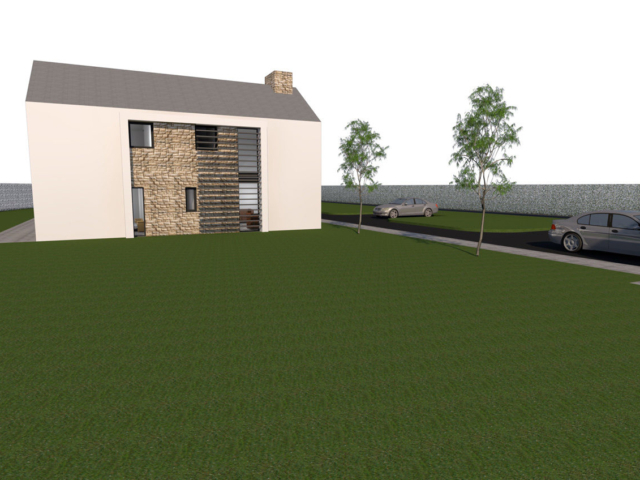 This approach meant that even though the clients were over 5,000km away we could communicate and share ideas as if they were in the next village. 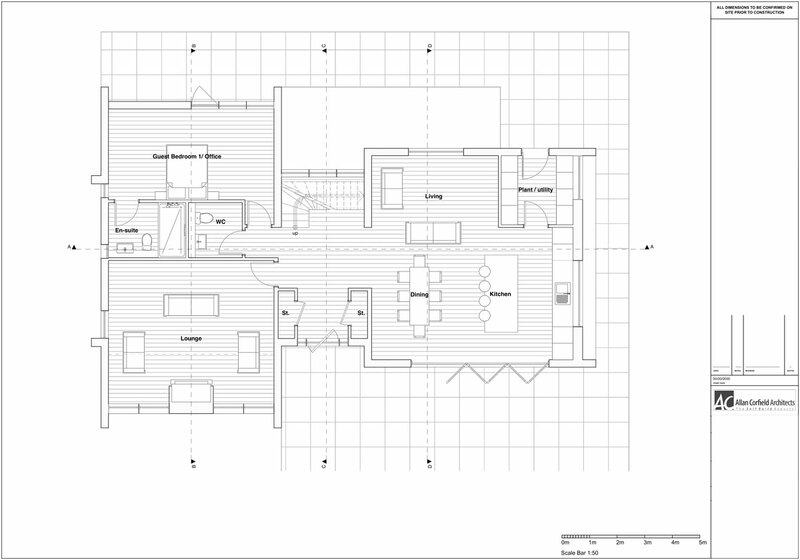 The 4 bedroom house is split over 2 levels, with a large central atrium linking all of the spaces. 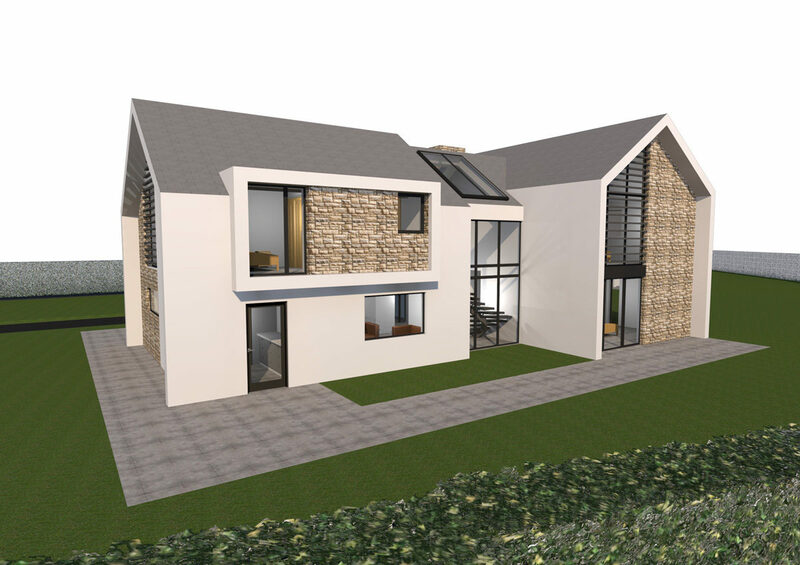 The ground floor is split into 2 gabled wings, there is a large open plan living/kitchen space, which opens up to the South facing gardens and on the other gable section a large living room and guest bedroom suite. 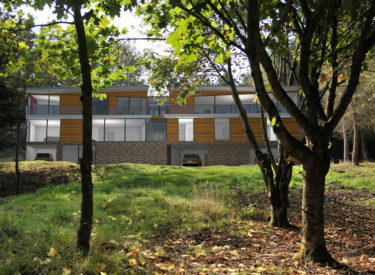 The first floor features a double height atrium with 3 further bedrooms, the master suite features a private balcony. ACA secured planning in August 2018, the project is being built by a main contractor, who hope to be on site by October 2018. 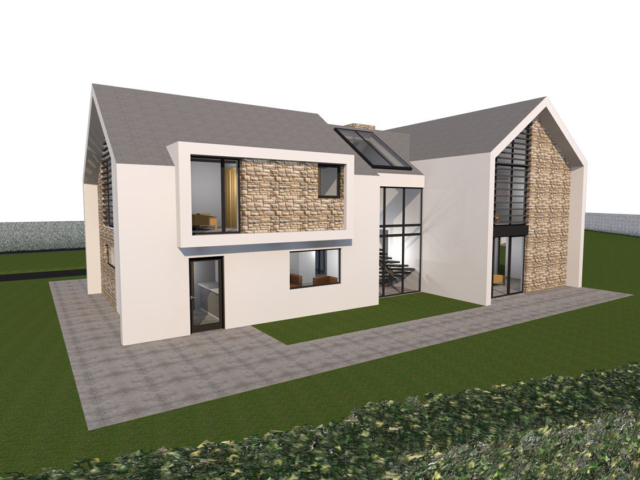 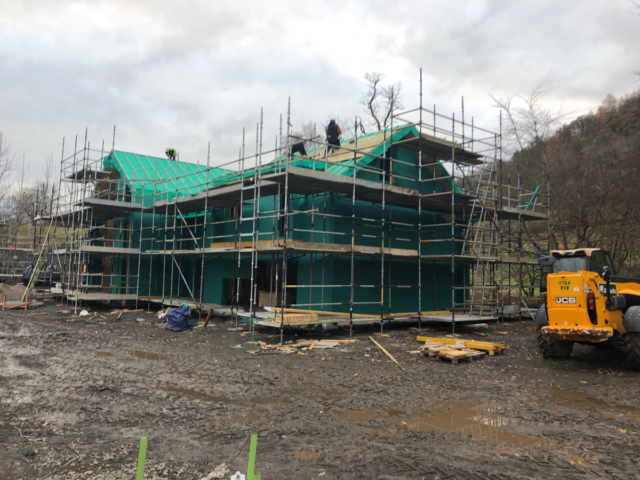 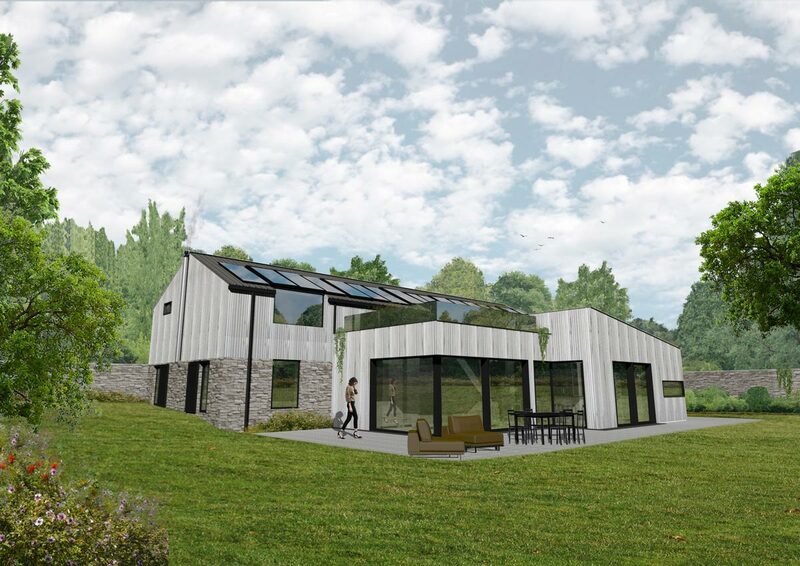 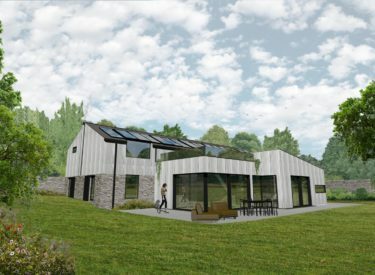 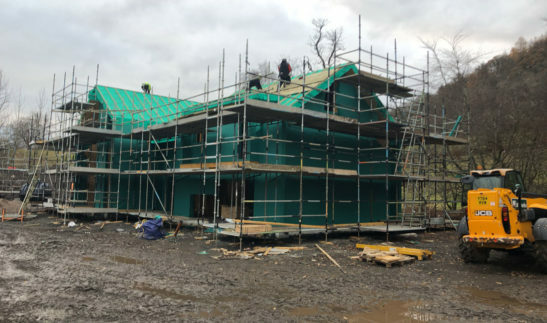 The house will feature SIPS panels, MVHR and Internorm high-performance windows and doors.